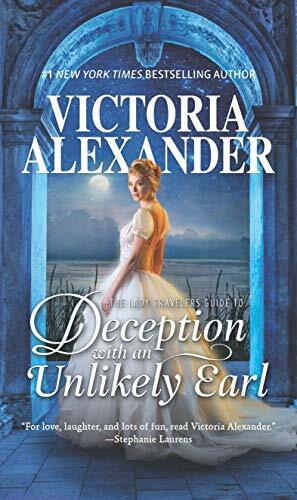 I am very happy to welcome Victoria Alexander today with an excerpt from her latest book, The Lady Traveler’s Guide to Deception of an Unlikely Earl which is on tour with TLC Book Tours. I present you with Excerpt #2. 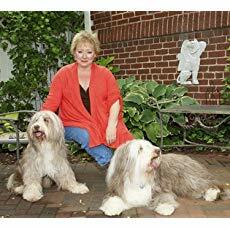 For more excerpts and reviews you can follow the Tour. As the Daily Messenger did seem to base most of its articles on little more than scandal and gossip, apparently reputation was in the eye of the beholder. “You’re the one who convinced me not to tell the truth when this misunderstanding began,” Sidney pointed out. Sidney’s gaze shifted between Effie and Mr. Cadwal­lender. He was right—she did have a choice. And an opportunity. This was her chance to set things right. To have the adventures, to be the heroine her readers believed her to be. For the first time since reading his lordship’s challenge, the idea of travel to Egypt seemed not only possible but probable. And why not? She was a thirty-two-year-old spinster with no particular prospects for marriage. No family to speak of except for Aunt Effie and her friends. And absolutely no good reason not to at long last follow her heart. She had nothing to lose and at the very least, the adventure of a lifetime to gain.